Recently, the University of Nigeria, Nsukka, the first indigenous university in the country, which is located in South East Nigeria, achieved a milestone by being the first university in the country to launch an organic waste power plant that will generate steady electricity for the university. The plant is a 100 kilo-volt-ampere (kVA) refuse-derived fuel (RDF) gasification plant designed to power the whole campus and nearby communities. "I am happy that under my watch the university has witnessed innovation and transformation," Ozumba said. "Today, another feather has been added to the cap of my administration. This is the first of its kind in the county - using waste to generate electricity." "By the time more of these plants are established, covering every part of the university, millions of naira will be saved every month as we will no longer pay monthly electricity bills to the power company." The innovation and plant was completed by a group of researchers at the institution, led by Prof Emenike Ejiogu. Ejiogu, an engineer who was trained in Japan, has expertise in electric power devices and systems, as well as new energy systems - wind, solar and fuel-cell energy. 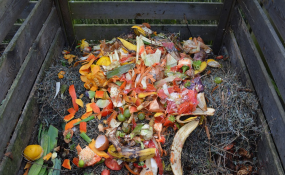 Agricultural by-products such as corn husks are sources of organic waste that could be used as waste materials to power the plant. "The aim is to enable the institution to generate its own electricity with organic waste serving as fuel," Ejiogu says. The plant was completed with special grant funding by the university in a step that will help solve the growing cost of unstable electricity in the country. According to Ejiogu, his research team was set to produce 250kVA plants, which will supply in the energy needs of the entire university and nearby communities. "Our university's power demand now is 3 megawatts, so with 12 250kVA of RDF plants, we will meet the electricity supply needs of the university," he says. This innovation has generated positive comments from experts who say it will help in fighting environmental and noise pollution. "This is the first such plant in the country," said Simon Oke, who has more than a decade of experience in the power sector. "It will help fight pollution, especially noise around the campus." Ejiogu and his team have started receiving requests for installations from individuals and private companies. "It is cheaper and can carry more currents than solar energy installation," he says. "With an RDF plant in your house or office, it will power your air conditioners, deep freezers, pressing iron and other appliances." Another benefit of this innovation is the potential provision of jobs for the unemployed youth. The unemployment rate in Nigeria has gone up since the country slipped into recession in 2016. Nigeria's unemployment rate rose from 18.8 percent in the third quarter of 2017 to 23.1 percent in the third quarter of 2018, according to a report by the National Bureau of Statistics. This means that about 21 million Nigerians are unemployed. "The number of people in the labour force increased from 75.94million in 2015 to 80.66 million in 2016 to 85.1 million in 2017 to 90.5 million in 2018," the report states. Ejiogu is optimistic that the new energy source will generate employment for young people in the country because there will be a demand for people to supply these waste products to the university or to others who need it.